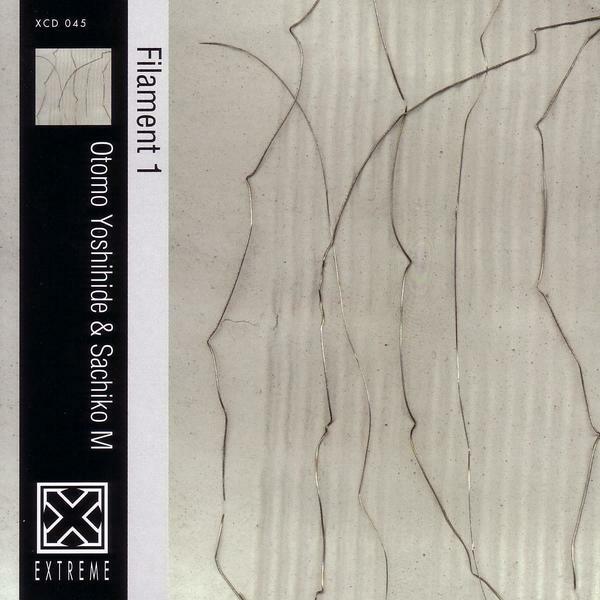 'Filament 1' is a genre-defying collaboration between legendary Japanese experimentalist Otomo Yoshihide and his Ground Zero bandmate Sachiko M. You know to expect something pretty earth-shaking from Yoshihide, but here we have Sachiko M on a serious sine wave bending tip with Yoshihide adding glitches and rhythms from cds and vinyl. The result is something akin to Alva Noto or early 12k, but remember this was created in 1998 so was predating the over-exposure of the scene and the whole Mille Plateaux explosion. This was more of a reflection of Oval's experiments with the compact disc media, exploring the glitch as a sound creation method and it stands as one of Yoshihide's most listenable and successful works. With drones that would send shivers down the necks of oh so many contemporary digital minimalists and glitches to worry the most academic of Max/MSP users, this might be almost ten years old now but it certainly hasn't dated. Groundbreaking and hugely enjoyable - how often can you say that?